Richard Linklater, through his ‘Before’ series and other films, has proven himself to be a pretty singular talent in contemporary filmmaking. 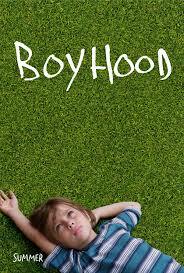 Even from him though, the forthcoming Boyhood (2014) looks like a pretty remarkable and unique piece of work. The film was shot over twelve years, literally chronicling one guy’s childhood. I try not to get too excited following trailers. But bloody hell this one makes me want to see this film. The trailer just works, combining a great choice of song with snippets from the film that give you a flavour of what to expect without ruining it for you. I would have to say it is probably my most anticipated film of the year now (ok maybe Godzilla is in front). Let’s hope the film meets that anticipation. Anyone else excited for this, or even better been lucky enough to catch this at a festival screening? Related beermovie.net articles for you to check out: Worth Watching July 2013 (includes reviews of the first two ‘Before’ films) and Before Midnight. So excited for this one! The concept is so damn cool. I know man. Such an original idea and great commitment to make it happen as well. I know. I became even more of a fan of Linklater after hearing about this film. The trailer looks promising, hoping that this movie is going to be a worth of Watch……. Same here. I think that there is a fair chance it is well worth a watch. Boyhood I really do think is going to be incredible. Talk about getting the feels. . . . .if some viewer fails to identify with at least some thing in this film, they are probably also without a pulse. Yeah man, if the trailer is any indication, tis going to be a pretty special watch.